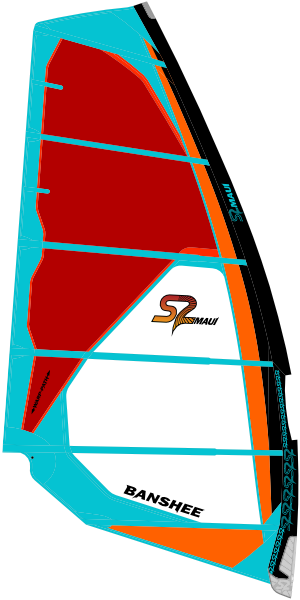 The 2018 Banshee benefits from S2Maui Venom race development and provides speed, power and light weight handling that puts many cambered race sails to shame. 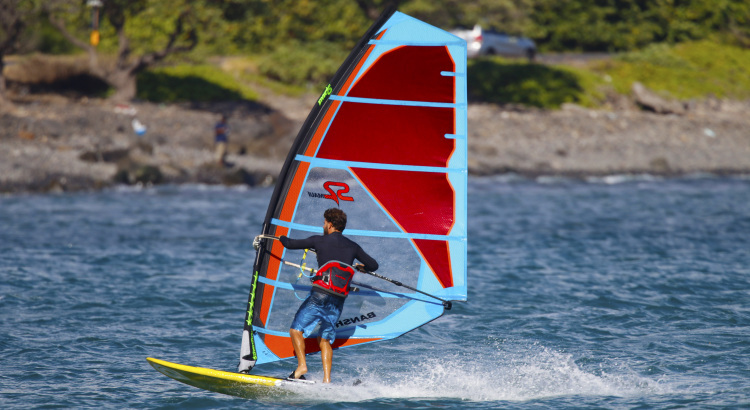 This highperformance RAF (no-cam) design focuses on slalom/freerace performance in middle and larger sizes, with the smallest sizes transitioning to freeride, each with blistering speed. Superlight weight and progressive leech profile give incredible early planning and instant acceleration. The center of effort is perfectly balanced low and close to the rider for maximum control. FocusPoint™ shaping derived from race development locks in a clean profile for maximum stability. For those who want maximum, no compromise speed and performance but don’t want cams. For 2018, we focused on expanding the Banshee’s upper wind range while maintaining low end power. Increased Spacelight™ in clew and leech areas reduces perimeter weight and gives a more reactive leech. Outline and FocusPoint™ shaping, evolved from Venom race development but adapted to a superlight, 6-batten RAF skeleton gives tremendous horsepower and acceleration. Our exclusive, high-tech load oriented WARPPATH™ panel layout featuring SpaceLight™ body construction together with race-stable, tube battens reduces weight and locks in profile.